Here's a very brief look at a simple skirt, made on a shoe-string at the end of a very tight-on-money January. I find that sewing my own clothes is generally cost effective, until I get tempted by all the nice patterns and fabrics. So this got me thinking that I should probably write down some tips on low cost sewing - mainly for my own reference - and see if anyone else had any too! 1. 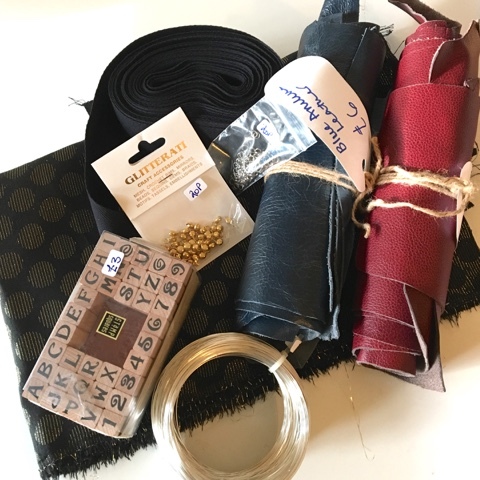 Best for basics: Most of my craft-related expenditure is spent in Leeds Kirkgate Market, where I can usually pick up all the basics - and some extra indulgent bits - at a really good price. 2. Think about your thread: There are occasions where you really should sew with high quality thread - and yes it is nicer to work with - but most of the time, I'm happy to work with cut-price bobbins. I pick up bigger-than-average bobbins of cotton at 3 for £1.20 in the market. 3. Cut corners with colour matching: Again on the topic of thread; I usually keep a well stocked collection of black, white, and a neutral grey/beige and get away with sewing in these colours wherever I can! Of course, you will need a nice matching thread if topstitching - unless you're brave enough for a neat row of contrast stitches - but I try and use what I have in stock where possible. 4. Reusing and recycling: It can be pretty painstaking, but try disassembling old clothes and harvest their zips, buttons and other and hardware for your new projects. 5. Review your stash: A totally obvious one, but it's always worth having a look over what you already have, and maybe even making an inventory. I've lost count of the times that I've bought a zip/some elastic/new needles and then found the ones that I already had. 6. Hack your patterns: As tempting as it is to buy new patterns (or the whole of the new Named collection) sometimes it's worth seeing what you can do with a pattern you already have.. It could just be widening or narrowing a trouser leg, or shortening a sleeve and adding a cuff. 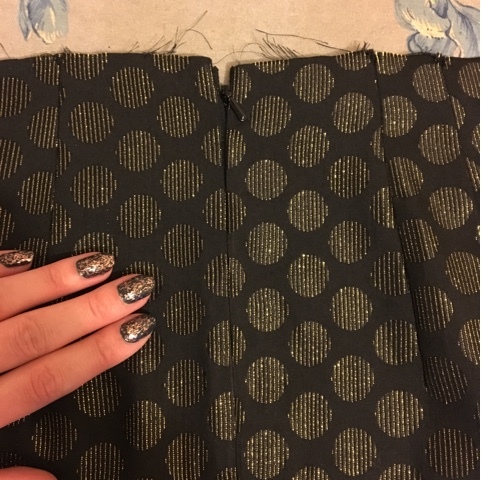 My recent experiments include this skirt, which was made from an TNT pencil skirt pattern that I altered the side seems of, and see my last post for a detailed look at doing just the same but with added faux wrap panels. 7. Savvy fabric shopping: I'm a huge fan of rag markets and craft fairs (like the Hebden Bridge WI Rag Market) where you can unearth treasures at a snip of the regular cost. 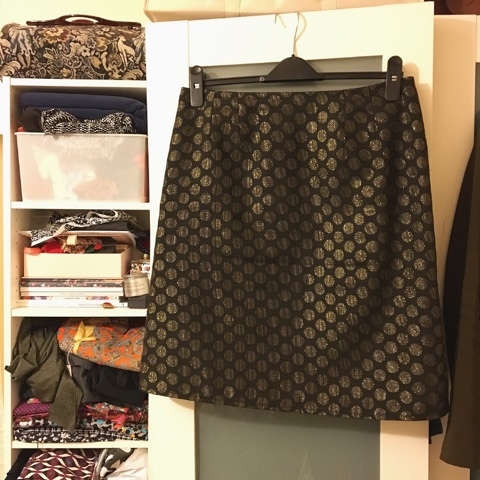 I made this skirt from fabric that I picked up for just £4 at a recent Craft De-stash in Leeds - check out my other spoils below! I love trawling the bins in Abakhans too - it's no end of fun and so satisfying when you find something you love! 8. Feel your fabric: I have to touch everything, and it can definitely be a deterrent from buying. This doesn't sound like a good thing, but I've seen some of the best prints that I would have bought at sight value, but after touching them and seeing how they drape, found that they're not exactly what I'm looking to work with. *Technically* saving money here by never buying them in the first place. 9. Work with what you've got: I love a long length skirt, but where fabric doesn't permit, I'll raise my hemlines. In this case, the fabric really did determine the length and shape of the skirt as it was a really narrow piece. I had just enough to squeeze it out. 10. Skip lining: To be honest, its a very rare occasion that I line anything anyway. I find it more economical to have a slip or underskirt in my wardrobe to wear with any garments that need the extra layer. 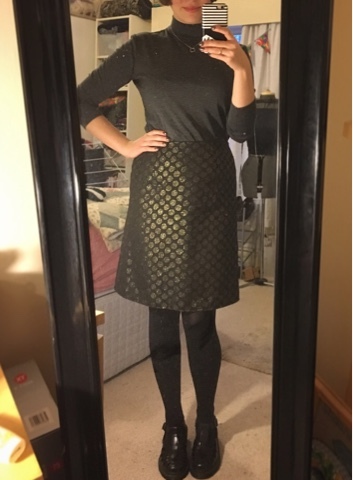 I think this skirt's worked out as a smart little number, and it just shows that you don't have to have a huge fabric budget or masses of fabric to make something worth wearing. I definitely have some other odd metres that could be used up in a similar way. How does everyone else manage their sewing budget? Love that skirt, such great fabric! Sadly I live nowhere near any fabric markets so cheap fabric is hard for me to come by in person unless there's an unexpected bargain in the local fabric shop or a charity shop. Mostly I keep my spending in check by only allowing myself to buy a new length of fabric if I've used up something from the stash, like a one in one out policy. I have a child keeps my sewing budget in check really well!!! 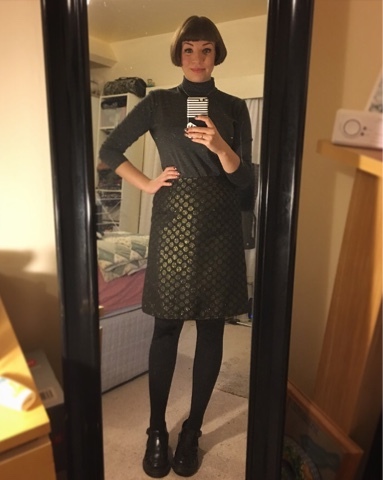 I just did a post on budget sewing too ! Much appreciated, since I'm on a frugal kick (probably for the rest of my life).